Or buy it at the Edge Foundation. 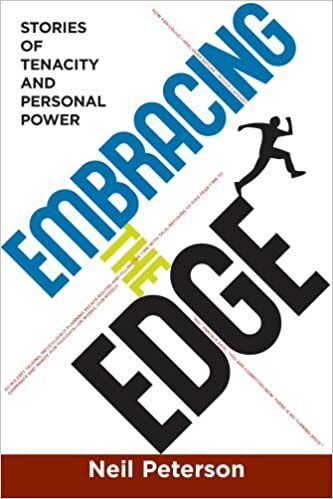 All profits from the sale of the book go to support the mission of the Edge Foundation. There is a teasing irony: we spend our lives evading our own redemption. And this is naturally so because something in us knows that to be fully human we must experience pain and loss. Therefore, we are at ceaseless effort to elude this high cost, whatever the price, until at last it overtakes us. And then, in spite of ourselves, we do realize our humanity. We are put in worthier possession of our souls. Then we look back and know that even our grief contained our blessing. Loss can destroy us or make us stronger by changing our perspective. This is especially true when we lose the use of a limb or have one of our senses diminished. The brain demonstrates amazing abilities to remap its neural circuits to adjust for these impairments. Website hosted by New Web Experts Copyright © 2019. All Rights Reserved.